Following your passion and working towards a dream is never easy. But time and time again we’ve heard that if you’ve got passion and grit, success is in your pocket and nothing can impede your growth! These are the same qualities we witnessed in Puja Malhotra, a Toronto based branding powerhouse and entrepreneur behind Roop Creative Agency. For Malhotra, the sky’s the limit. Comfort is not an option and complacency is her biggest rival. 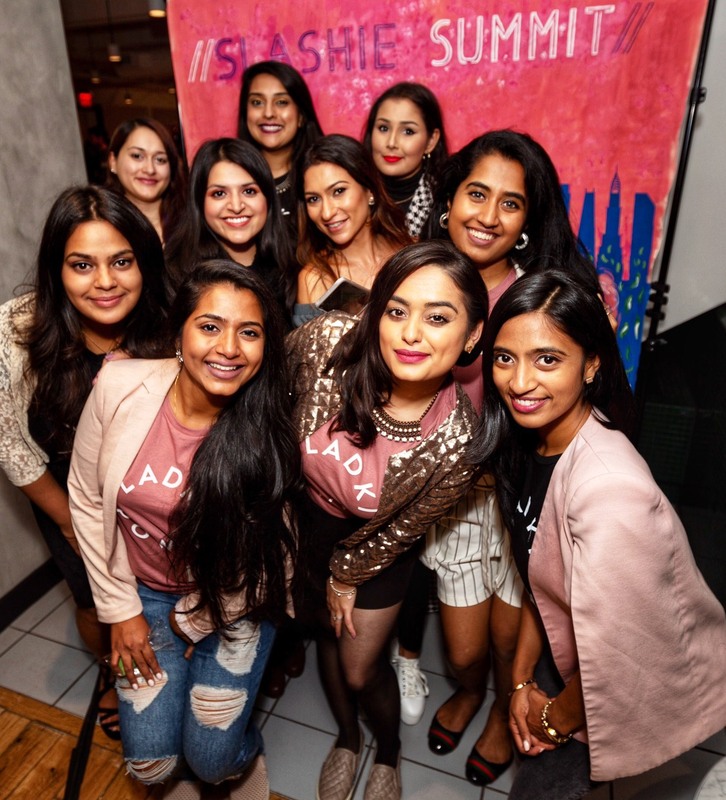 From an intern to climbing the corporate ladder to conquering the entrepreneurial landscape, Malhotra constantly looks for opportunities to challenge herself and become the best in the game. She’s a household name for budding and existing entrepreneurs and brands in the Greater Toronto Area. 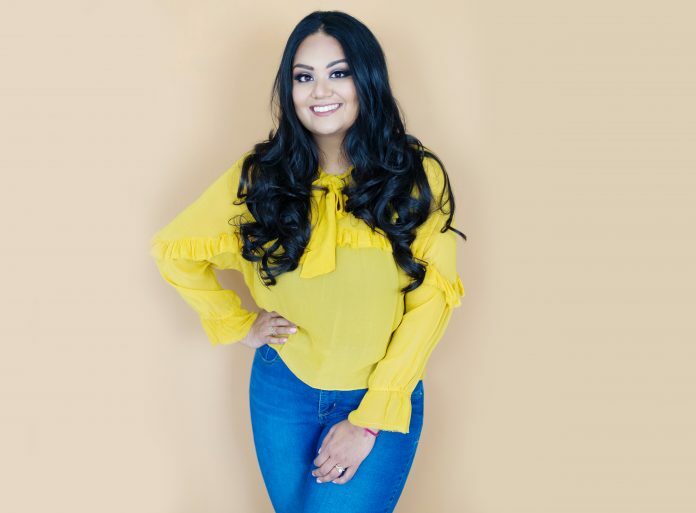 Malhotra has established herself as the go-to marketing mastermind for any and all business owners. She’s tenacious, diligent and determined — characteristics we were easily able to depict throughout our conversation. Malhotra’s heart and passion are embedded in Roop Creative Agency. “The best feeling is when I get to work with entrepreneurs who are just starting off. To see their passion and seeing them starting off. I added to this person’s dream, they’re creating products and services being used by everyday people,” explains Malhotra. Malhotra gives us a quick glimpse of the start of her journey as an entrepreneur. She knew being her own boss was always the ultimate goal, but like many of us her thoughts held her back and prolonged the process. In fact, she actually mentions a complete stranger for the push to start as owner of Roop Creative Agency, a recruiter for a job she was interviewing for in the wine industry. During the interview, the recruiter had blatantly told Malhotra that she talked and carried herself as she was in management. That served as lightbulb moment for Malhotra to begin her entrepreneurial journey. It was all in that impromptu second where Malhotra had actually walked in looking for a job, but walked out with a business plan in her mind. When asked about her experience as a South Asian venturing out into the world of design, Malhotra enlightened us with surprising facts. Naturally, one would think her immediate family, parents, in particular, wouldn’t be too keen on this idea. But to her surprise, her parents were highly encouraging and pushed her to do what she truly desired. It was, in fact, her outsiders who posed more problems than anything else. “It was a challenge explaining to people what I was doing. My dad is more liberal so he helped take on the people who challenged me as to what I was doing,” explains Malhotra. The only thing, Malhotra shares, her parents were apprehensive about was the idea of entrepreneurship due to the struggles the journey entails. This caused a lot of feelings of confusion for Malhotra, with her father specifically and questioning where if he was supportive. He didn’t say anything to deter her but he also wasn’t as vocal about her entrepreneurial path as what she knew of him. Until one day, when Malhotra rejected a job opportunity from a recruiter from LinkedIn. The pay, position and perks were phenomenal, this would’ve been the right move in corporate for Malhotra. But her heart and soul was invested in Roop, and her decision was clear. But as she did this, tears came flooding in and she immediately started doubting if she had made the right decision. It was at that moment her father told her, “if this job is making you cry and feel torn then it’s clearly not for you, you need to see what works for you, makes you happy and is good for your business in the long run,” helping her alleviate all feelings of confusion and directly showing his support for her business. “As an entrepreneur, you’re constantly battling with the thought if I’m on the right track. You always look for validation from others,” commented Malhotra. But she fights against these limiting beliefs to continue to move forward and be aggressive in her endeavours. Her proof of tenacity has been demonstrated numerous times in her career, both as an entrepreneur and as a graphic designer. Malhotra talks with a lot of passion and dedication when it comes to her business. It was clearly evident during our conversation. When asked how she juggles being a business owner and wearing many hats as a woman, she shared that every women would agree when she says it’s not an easy job. “As South Asian women we are expected to behave a certain way. [But the] new generation growing up sees things much differently [than the traditional way of thinking]”, says Malhotra. “[Thankfully] my husband is a feminist and he supports my endeavours. You have to surround yourself with like-minded people. [You] can’t do it all. We’re all human, women are superhuman balancing [various different] things. [But you have to consider what you can take on,” advises Malhotra. Hard work and dedication has no short-cuts. Malhotra picked an unconventional career path than many other South Asians, but she was invested in her art. She couldn’t deny herself of the love and passion that her work evoked in her. Malhotra serves as an inspiration for many of us brown kids, who all have a creative dream or passion they want to pursue, but sometimes let our fears take precedence and holding us back. Malhotra proves that grabbing the reins of your life and allowing passion to navigate your life does a better job of dictating the trajectory of our lives. Previous articleRep. Tulsi Gabbard Announces 2020 Presidential Run: Is She the Right Choice for the Desi Community? Nehal Mehra, a graduate student from New York University, is a native Torontonian currently residing in the Big Apple. She finds solace in the arts, beauty and all you can eat sushi. If you can’t find her scrolling her social media feed or studying at a Starbucks, look in the aisles of Sephora or blasting Bollywood tunes in her bedroom.